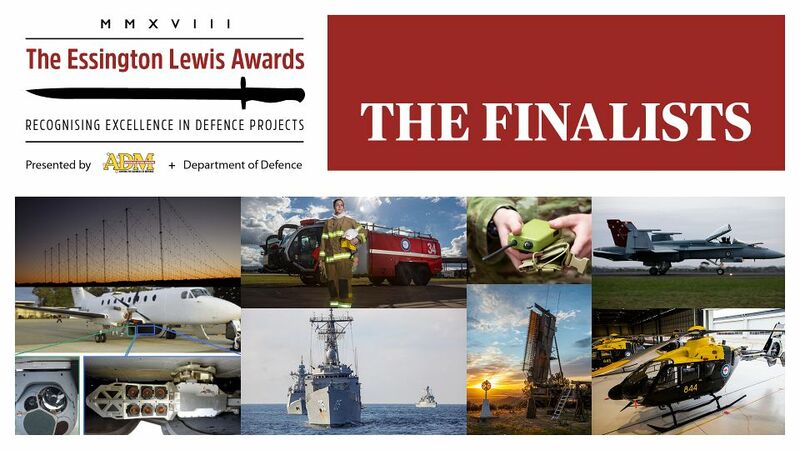 Below are the finalists for the 2018 Essington Lewis Awards, where ADM and the Department of Defence have partnered to recognise excellence in collaboration between the two parties. Winners were announced at a Gala Awards Dinner on August 1, the evening before D+I in Canberra at the convention centre. Working with both Army and Navy stakeholders, the HATS team in both Boeing and CASG managed to overcome an internal delay of almost 12 months to deliver a much needed, streamlined capability to the ADF on time. The program is an example of what can be done to avoid a Project of Concern listing when both parties work together with an outcome driven focus. Driven by Smart Buyer principles, this program leveraged the Whole of Government approach to procurement in a Defence context, delivering a capability both ahead of schedule and under budget. The industry side of the house managed significant corporate risk during an internal restructure and the Commonwealth worked with them through this difficult process to manage their own risk. This program is testament to how good collaboration and open communication can manage risk at every step. Starting life as a Capability Technology Demonstrator Program, the cutting edge technology moved from a Technology Readiness Level of 6 to 9 in less than 7 months and is now deployed on the Cape class ships. Using an agile project management approach, where both parties took on significant risk, the team overcame technology, engineering and design challenges to deliver a world class capability. Due to international IP restrictions, this Commonwealth and industry team managed to come up with a local and innovative solution to a test and evaluation challenge under JP 2072. The rugged solution has been deployed in numerous challenging environments and is on track to save the Commonwealth almost $195 million over a decade. By turning a 72 kilo test kit into an 18 kilo solution, the system is an amazing example of industry-led innovation at work. Given the move to a fifth generation air force, Boeing and the Tactical Fighter SPO realised that something needed to change in how they supported the legacy platform, the Classic Hornet. The complete contractual and outsourcing overhaul was done in 18 months while the platform was being deployed in the Middle East, and the SPO halved in size during that period with the new right sized SPO and Boeing delivering the capability in a trusted, collaborative environment. This program saw Lockheed Martin Australia working with its parent company to leverage local SMEs wherever possible in the upgrade of the ITARs controlled MOTS technology. With an emphasis on integrated teamwork in regard to risk management and scheduling, LMA, its supply chain, the Commonwealth and the RAAF drove an aggressive schedule that delivered an upgraded capability on time and on budget. While Redwing might be well known to many of you, the program is still kicking goals with another 34,000 units produced in 2017. Working with DST Group, the new evolved units from L3 Micreo were delivered months ahead of schedule as requested by Defence while maintaining the 156,000 units already delivered to local forces in Afghanistan. Using a material first used in the submarine fleet, this SME and Defence have fitted an Australian designed and made product in a massively compressed time frame for literally a fraction of the budgeted cost. Demonstrating innovation on numerous fronts, this program delivered a world-class capability to the FFG fleet with industry working with DST Group and the RAN to a common aim. While the winner for Phase 6 of JORN has been announced, this program focused on getting the program ready from the project management and approvals process perspectives. Working at remote sites across the country as well as Canberra, the CASG and Jacobs Australia IPT team guided the program from inception through to second pass approval in December 2017. The team engaged early and constantly with both internal and external stakeholders to meet the demanding requirements of the high technology program. DSTG’s airborne ISR experimentation lab sees the nation’s premier defence science and technology provider working with industry to provide a flexible turnkey solution. With both parties managing their own respectively strict regulatory requirements from all over the nation including in remote areas, the service provided by DEAP is an excellent example of what a focused team can achieve together. Entries for the 2019 Essington Lewis Awards will open later this year, with details available on this page by Q3, 2018. Keep an eye out for details in ADM's Defence Week Premium and Defence Headlines newsletters.